It's summer which means that corn is in season, which makes me a very happy girl. Corn on the cob is one of my favorites and I could eat it everyday honestly. I like it boiled, grilled, roasted, sautéed...I don't discriminate. I can get it fresh at the farmer's market right now and it's so sweet and tender (I could eat it right now, for breakfast.) And since I buy a dozen each week, I wanted to turn the flavor up a notch so that I can get away with serving it several times a week! 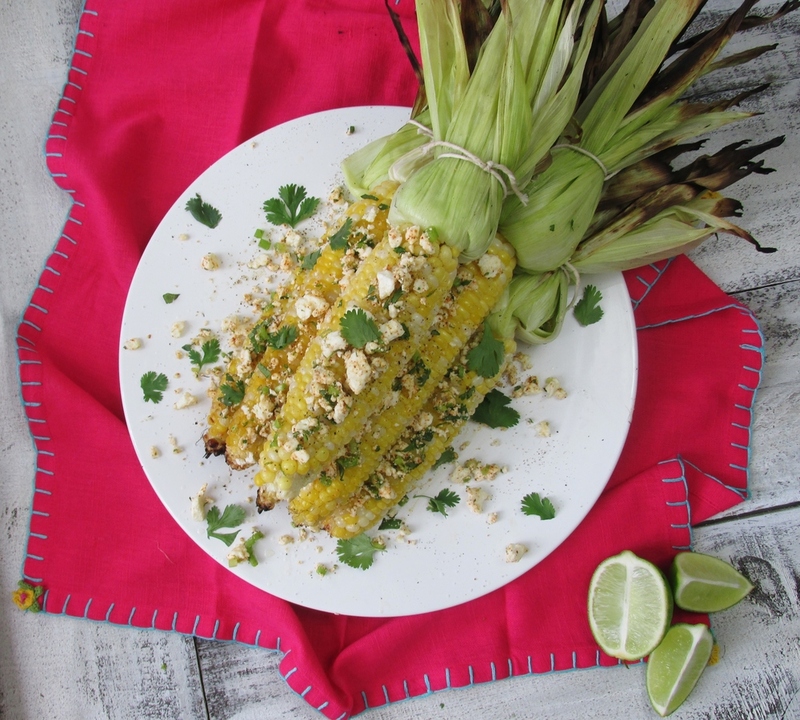 Hello Mexican inspired grilled corn on the cob, get in my belly. Get ready for your life to be changed. I mean seriously this corn is amazing. It's full of flavor, it's healthy, and it's quick and easy to prepare! The presentation is pretty enough for entertaining, but easy enough for any ole night of the week to serve your family! The flavors are so fresh and just scream summertime. It's the perfect side for BBQ, burgers, fish, or chicken...or you can eat leftovers for breakfast...I won't judge.